In addition to food offerings, Burgerlords has joined forces with our creative network to create an entire “burger world” around the restaurant. This includes everything from merchandise to art installations, collaborative events and more. Burgerlords aims to be a unique space that serves to foster a dynamic and exciting burger-loving community both in & out of the restaurant. Ever wonder what we’re playing in the restaurant? Well here’s a few Spotify playlists we have on constant rotation in the dining room. For those of you who may not know, at one point in time we owned an art gallery called Slow Culture. Owning & operating an gallery was an integral part of cultivating our creative community. For 2019 we have started a quarterly art program featuring some of our favorite artists. Click below to find out more who is currently featured. 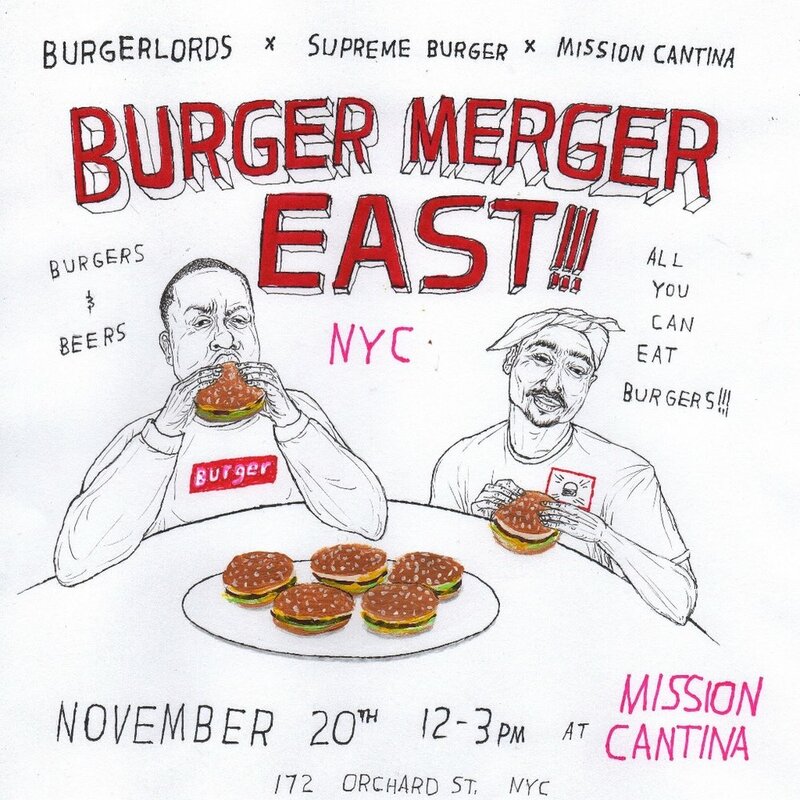 Burger Merger is our sporadic collaboration series. From chefs, to bands, to artists we are always looking for ways to team up with like minded creatives.